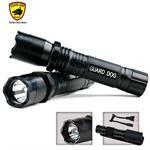 Replace your daily flashlight with the Guard Dog Katana, a 400 lumen tactical flashlight, concealed stun gun and steel-point tail cap. 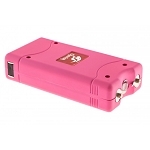 Monster Mini Rechargeable Stun Gun Pink. 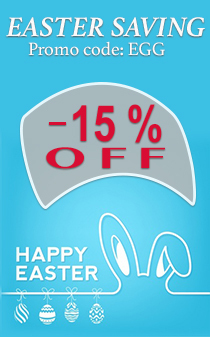 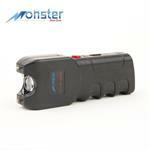 Rechargeable stun gun with built-in LED light and safety switch feature! 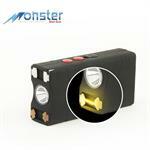 Monster Ultra Powered 15 Million Volt Rechargeable Stun Gun with LED Light. 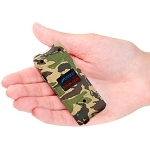 Equipped with a sleek nylon holster with belt loop that allows you to protect and carry your stun gun everywhere. 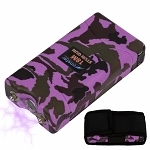 Purple Olympian World's Only All-In-One Stun Gun - Pepper Spray - Flashlight. 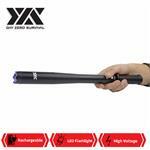 Rechargeable high voltage stun, LED flashlight & 1/2 oz. 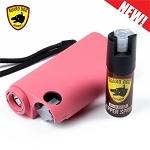 pepper spray! 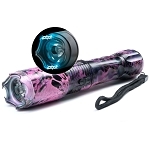 Pink Olympian World's Only All-In-One Stun Gun - Pepper Spray - Flashlight. 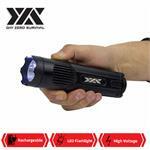 Rechargeable high voltage stun, LED flashlight & 1/2 oz. 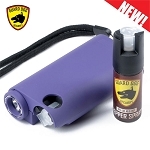 pepper spray! 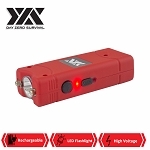 Triple Spark 9,000,000 Rechargeable Stun Gun With LED Light. 2C2-M18000-ZP - Zebra Pink And Black Color Monster 18,000,000 Million Volt Rechargeable Stun Gun with LED Light. 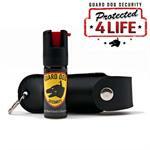 Includes nylon holster with belt loop. 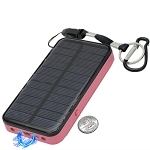 3 In 1 Solar Rechargeable Pink Stun Gun, Flashlight and Power Bank. 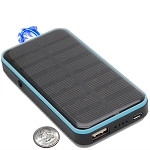 4.5” long X 2.3” wide X 0.5” thick. 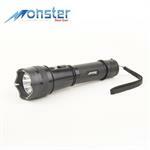 3 In 1 Solar Rechargeable Stun Gun, Flashlight and Power Bank. 4.5” long X 2.3” wide X 0.5” thick.